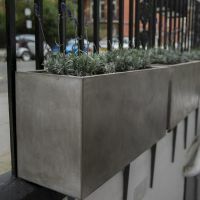 IOTA’s Fresco planters with a distinctive ‘polished plaster’ look are chosen for Hotel Indigo London Kensington. 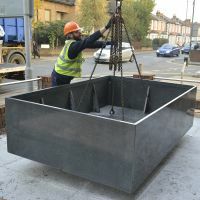 Bespoke FRC planters are commissioned for the University of Greenwich’s new Stockwell Street campus. 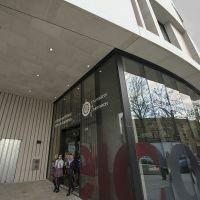 Bespoke powder coated steel planters are commissioned for the University of Bristol’s new Life Sciences building. 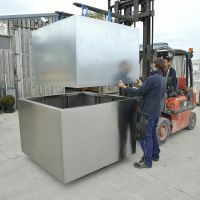 Super size bespoke granite planters are commissioned for the refurbishment of Connect House in Wimbledon. 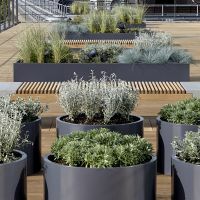 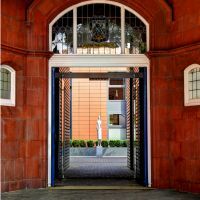 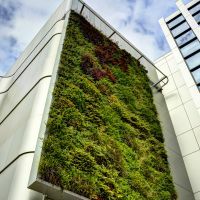 Bespoke powder coated steel planters are commissioned for the refurbishment of Grade A offices in central London for Warner Bros.
Bespoke powder coated steel planters are commissioned for the redevelopment of the landmark Old Library building in historic Leamington Spa. 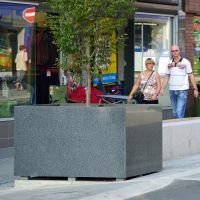 Bespoke granite tree planters are selected for town centre improvements in Leek, the principal town of the Staffordshire Moorlands. 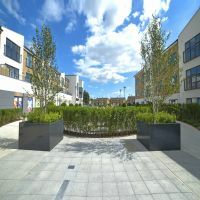 Extra large bespoke granite tree planters are selected for Drayton Garden Village, an entirely new 31 acre neighbourhood in West London.